Terrorism isn't a new phenomenon. We tend to get caught up in today and rarely think back further in time. 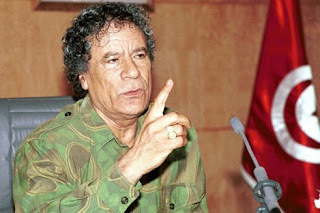 To those of us who were alive in the 1970's & 1980's, we can recall Libya and it's strongman dictator, Mu`ammar Qadhafi. 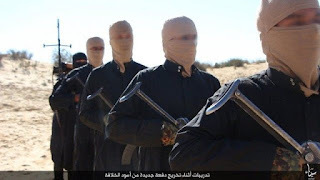 Long before Al-Qaeda and The Islamic State, there was another Muslim terrorist who made it his mission to bring harm to America and Israel, as well as Europe. This is a history lesson that can act as a learning experience and a guidepost for us today, as we travel down this current path of increased terrorism. If we heed the lessons of history, then hopefully, with wisdom and knowledge, we can choose the right response and avoid more heartache and bloodshed. Like everyone else, I woke up on Sunday morning and heard of the terrorist attack in Orlando. I was saddened, and yet, unfortunately, not exactly surprised. The title of this piece has a dual meaning, and I will elaborate on that as I share some thoughts. Needless to say, the future of our republic is in grave danger, my friends, and it is under attack. Not only under attack from Islamic terrorism, but also from the twin evils of ignorance and political correctness. 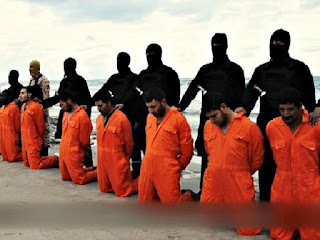 Why Don't Christian Lives Matter? Undoubtedly, at some point over the last year or so, you have been exposed to the Black Lives Matter campaign. You would be hard pressed not to have come across it in one way or another. They have been consistent in their vocal messaging and the media has promoted their efforts. I honestly have no qualms with black lives. As a Christian, I believe all lives matter. My question is, why don't Christian lives matter? Why isn't there a Christian Lives Matter campaign that is just as vocal? A couple of recent news stories should aid in setting up the piece. 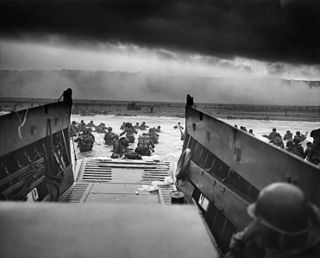 Could America Stomach D-Day Today?